Don’t know till you try…. What would Saint Francis say? Visit the Holy Name Province of the Franciscans webpage or the vocation’s page. approval. 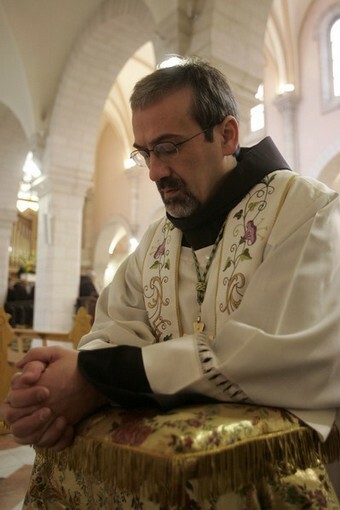 To find out more about the importance of this anniversary, we spoke with the Custos of the Custody of the Holy Land, Father Pierbattista Pizzaballa OFM. The Custos also discussed the reasons behind the historical presence of the Franciscans in the Middle East, his hopes for the Order and the wider Church in the region, and the chances of peace between the Israelis and the Palestinians. How significant is next year’s 800th anniversary to the Franciscan Order and what celebrations are you planning in the Holy Land next year? The celebration of the 800th anniversary of the foundation of the Order of the Friars Minor has, in the first place, a charismatic and spiritual significance. We are all summoned to rediscover the evangelical and ecclesiastical roots of our vocation. The inspiration of St. Francis was truly to live the Gospel in full, in a passionate imitation of Jesus Christ, in poverty and simplicity. At the same time, he strongly felt he was part of the Church and shared in its mission for the salvation of the world. Friars Minor all over the world have to renew their vocation in reference to the problems of their environment in different social and cultural situations. In the Holy Land, we will be engaged above all in the permanent training of friars, with a series of initiatives that will begin with the renewal of the religious profession, done as a community, in the Basilica of Gethsemane and, at the end of a series of formative meetings, will culminate in the celebration of two regional Chapters, in Galilee and in Judea. We will try to involve the whole of the large Franciscan family, i.e. the Franciscan nuns and the lay members of the Third Order, as well as the young people in our parishes. How important is it in terms of working towards peace that there be a Franciscan presence in the region? The commitment to peace belongs to the original nucleus of the Franciscan vocation, but it is not a question of a political nature. In St. Francis’s will, it says: “The Lord revealed to me that we should give this greeting: ‘May the Lord grant you peace! '” This means that peace is not only a balance of political and economic interests, but more deeply, it is the result of an encounter with God, which overcomes the force of sin and violence within us. A man who is reconciled with God naturally desires to establish relations of justice and peace with other men. The Franciscan presence in this region is important because it aims to represent the search for peace according to a spiritual vision, which respects the deepest nature of the person, summoned to live the love for God and his brothers. 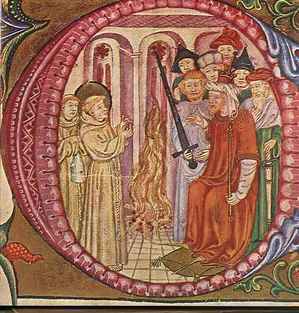 The Friars Minor, at the start of their evangelical mission, were present in all the countries of the known world. 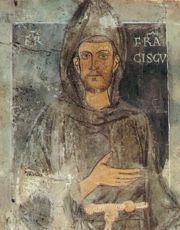 St. Francis himself came to the Orient and visited Egypt and the Holy Land. It was the time of the Crusades and therefore the confrontation between Christianity and the Arab-Muslim world was marked by rejection and head-on opposition. History tells us, however, that Francis wanted to meet the Sultan of Egypt peacefully, to be a brother to him and announce the joyful beauty of the Gospel to him as well. The Franciscans have never abandoned these lands because, despite all the difficulties, they want to offer all men, believers and non-believers, their peaceful testimony of faith. Over the centuries, the Franciscan charism has entered into deep communion with many different cultures, offering the gift of an evangelical life lived in joy and above all putting itself at the service of the neediest. 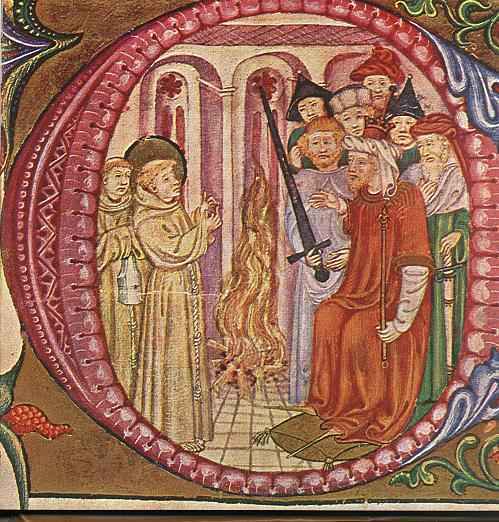 Some have speculated that the anniversary of the founding of the Franciscan Order could coincide with peace in the Holy Land. How hopeful and optimistic are you that that could happen? What are the major obstacles to it not happening? It would certainly be marvellous if the efforts to build up peace were achieve their result soon, even this year. It is the desire of all men of good will and we pray each day that this will happen. It would be a providential coincidence if this were to occur in the year of the anniversary of our Order, almost a divine blessing for so many centuries of missionary service. But I believe in the optimism of the faith, which places its trust entirely in the omnipotence of God, without forgetting, however, the freedom that He himself granted to men. There are still many obstacles that slow down the peace process and their solution is often not easy. The greatest obstacle, all things considered, is not wanting to believe in peace, in not desiring it as an absolute good, which can be obtained only at the price of substantial sacrifices. The parties must consider each other with sincere esteem, no longer as enemies, but as brothers in the common humanity. What currently are the main challenges you face in your work as Custos? There are many challenges and they are serious but, thanks to God, I am surrounded by many brothers who love their mission and put all their efforts into their vocation. This allows me to look at my work with peace of mind. As well as our commitment to peace which we have discussed, the real challenge for a man of religion is always a life of faith, to which we have been called to give our lives to God. The spiritual dimension of our vocation must be cultivated with humility and passion. My office requires me to be a credible witness of faith, for my brothers and for Christians, so that we do not forget the presence of the Lord amongst us. As the Custos, we are called to a great pastoral effort at the service of the local Church and at the same time a strong social and cultural involvement in support of the populations subject to harsh tensions. We are witnesses of hope and this pushes us to seek dialogue at an ecumenical and inter-religious level, to create an environment of communication and collaboration between different traditions. This constant commitment to seeking unity and agreement between men, in this lacerated and divided world, is a truly epochal challenge. Has there been any recent progress on fulfilling the remaining issues surrounding the Fundamental Agreement between the Holy See and the State of Israel? The negotiations have now been continuing for many years in a seesaw fashion. Recently much progress has been made, although there are still a number of points to be clarified on legal and fiscal matters. The present crisis in the Israeli government will certainly delay the meetings again. However, sooner or later, we know that an agreement will be reached. What plans and hopes do you have for the future for the Franciscans and the Church in general in the Holy Land? The Franciscans in the Holy Land are constantly becoming more international, welcoming friars from many different countries all over the world. This will make us increasingly witnesses of the universal fraternity to which all men are summoned, breaking down separations and overcoming the disagreements produced by selfishness. Over the centuries, Franciscanism continues to show it is topical, because it is based on the immediate adherence to the Gospel, without undergoing the conditioning of a particular culture or social system. Contemporary man, suffocated by material needs, feels the call of the values of the Spirit increasingly strongly and has a deep nostalgia for the absolute; he needs to be accompanied in this search. The Franciscan Order will be increasingly present on this path to authentic humanization.